Commemorating the 20th anniversary of De La Soul's classic debut 3 Feet High and Rising, the Plugs have teamed up with Nike Sport Music to release ARE YOU IN? : Nike+ Original Run. 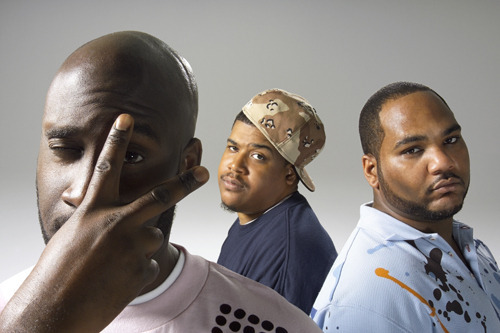 De La Soul’s album is the fifth release in the Original Run series, which includes exclusive workout albums by A-Trak, Aesop Rock, LCD Soundsystem and Crystal Method. And please use a little bit of soap. Remember to practice good hygiene after you work out, my friends. Download ARE YOU IN? : Nike+ Original Run from iTunes for $9.99 today!